How Do You Cook Fresh Asparagus? Fresh asparagus can be cooked in many ways such as boiling, steaming and grilling. To grill asparagus, trim 1 pound and lightly toss the spears with olive oil, salt and pepper. Grill the asparagus over high heat for 2-3 minutes or until desired tenderness has been reached. A recipe for baking asparagus is as follows: Preheat oven to 425 degrees Fahrenheit. In a large bowl, toss 1 bunch of asparagus with 3 tablespoons of olive oil. Sprinkle 1 1/2 tablespoons Parmesan cheese, 1 clove minced garlic, 1/2 teaspoon pepper and 1 teaspoon sea salt. Place on a baking sheet and bake until tender (12-15 minutes). Add a squeeze of fresh lemon. What Ingredients Do You Need to Cook Fresh Beets? How Do You Cook Calabaza Squash? What Is the Easiest Way to Cook Snow Peas? What Are Some Good Ways to Cook Asparagus? How Do You Cook Fresh Chestnuts? 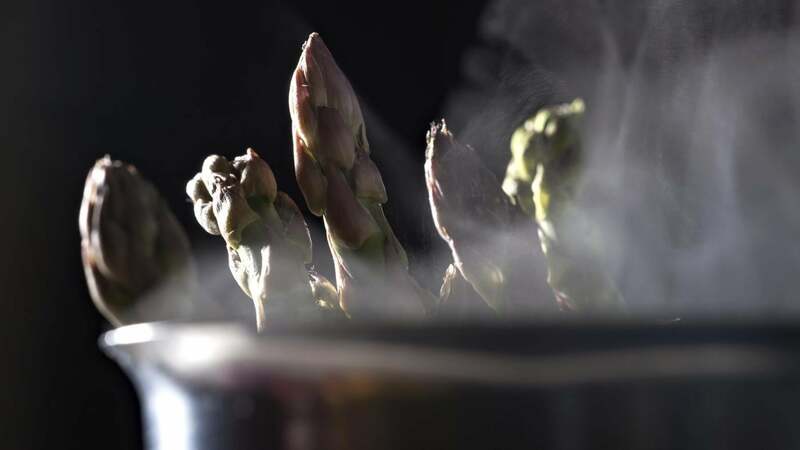 What Are the Best Recipes for Cooking Asparagus on the Stove?